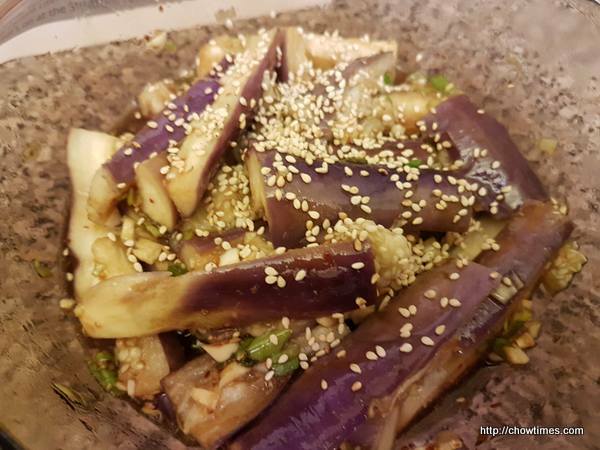 Ben made this vegetarian Eggplant as a side dish. 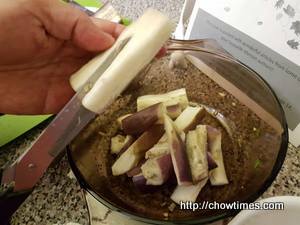 Remove stem from eggplant, cut into 2 inches chunks and cut each chunk lengthwise into half. 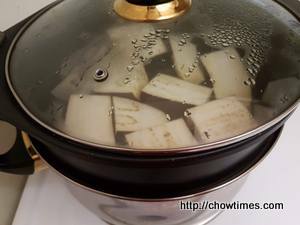 Bring water to a boil in a steamer and steam eggplant for 5 minutes, until softened. Use a pair of scissors to cut the eggplant into 3 smaller pieces for each chunk. 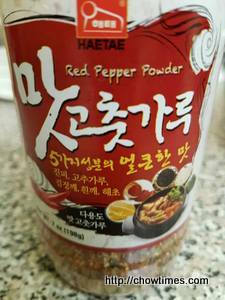 Ben spiced up the sauce with some Japanese red pepper powder. 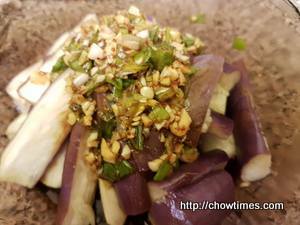 Toss the sauce with the steamed eggplant and garnish with toasted sesame seeds. Serve with steamed rice. 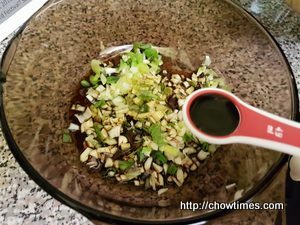 beautiful recipe but not really vegetarian as there is fish sauce!